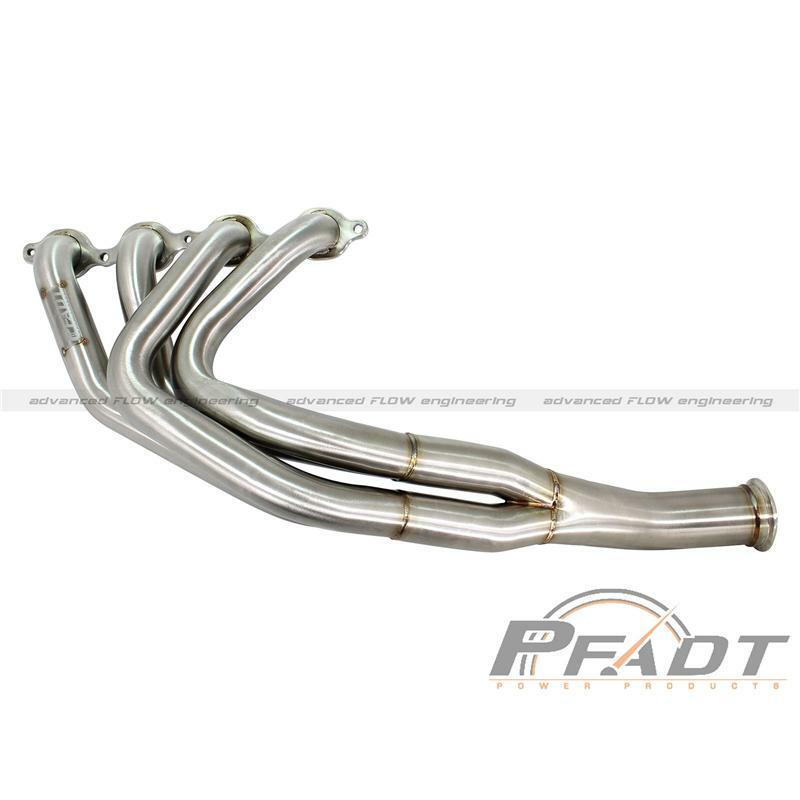 aFe Power’s introduces the PFADT Series headers for the 2014-2015 Chevrolet Corvette (C7) with the V8-6.2L engine. These headers are constructed of near equal length mandrel-bent 1-7/8” 16-gauge, 304 stainless steel tubing with thick flanges to ensure a leak free seal. The smooth curves and increased diameter of the headers helps remove restriction and keeps exhaust gas flowing smoothly for improved performance and durability. Paired opposite firing cylinders with equal, specifically tuned primary lengths maximizes scavenging and increases torque throughout the powerband. These headers are designed to retain all your factory sensors for a hassle free installation. Also included are extensions for a simple plug & play installation. High quality laser cut header flanges provides superior sealing at the head surface. A high quality V-Band flange provides a simple to install leak free joint between the headers and X-pipe.